Wow can you believe it's already September? It's crazy how fast this summer flew by, but I guess I say that every year and yet I still feel like it's never long enough. As excited as I am for Fall to arrive, I wanted to share some of the products I fell in love with during the month of August. Unlike my July Favorites, I'm sticking to only food this time around, and actually keeping it fairly simple. There will be links and descriptions to all the products below, so make sure to check those out! And without further ado…let's dive in! You guys know how much I love my tahini! 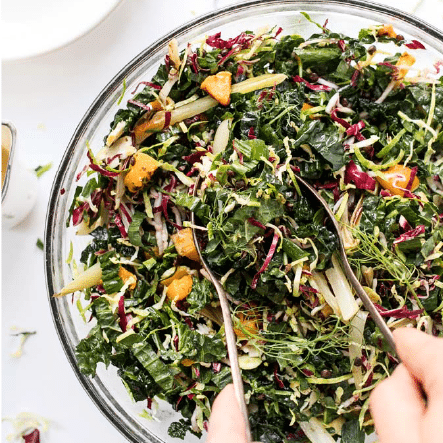 I put it in practically everything–from salad dressing to my vegan lemon cream sauce to just a simple drizzle on my fave buddha bowls–it's a staple in my pantry. 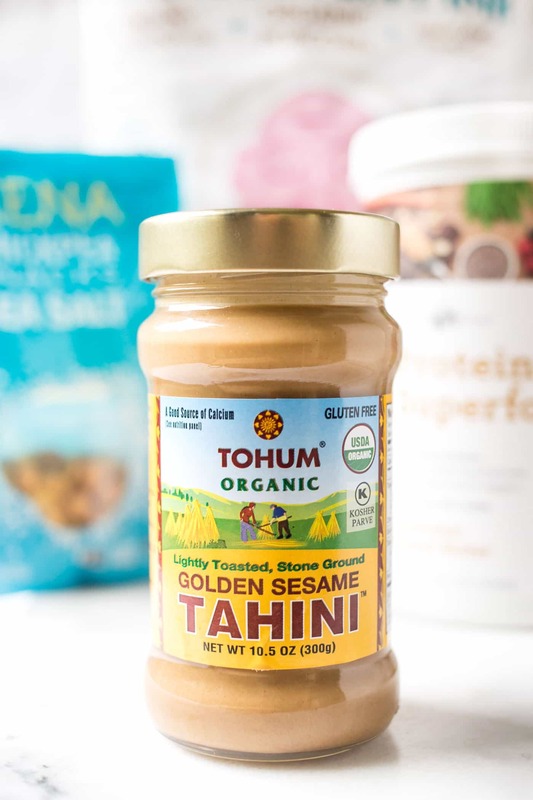 And this month I found a new tahini that I absolutely love! This is made with golden sesame seeds and has much milder taste than other tahinis I've tried. It's also organic and non-GMO which I love, and comes from a small company that sources their products from Turkey. 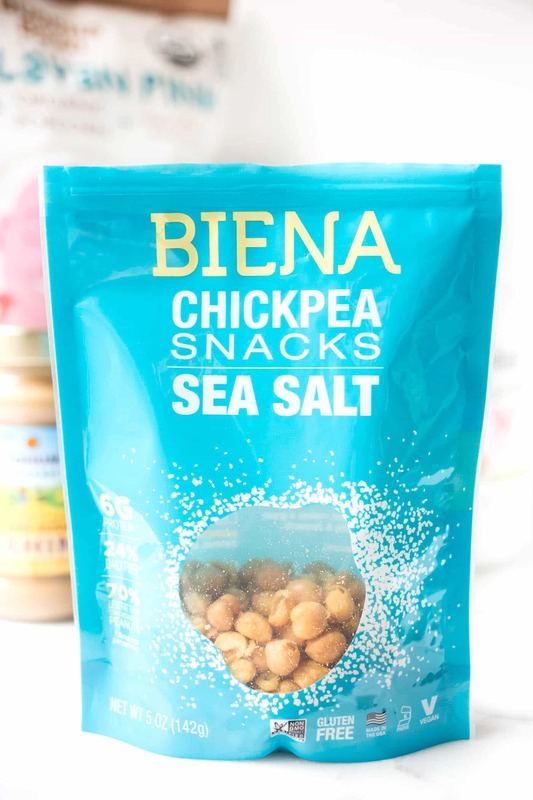 I absolutely love crispy chickpeas as a healthy, salty snack option, but I don't love the ingredient labels for many of the brands I've found on the market. That's why I love the ones from Biena! 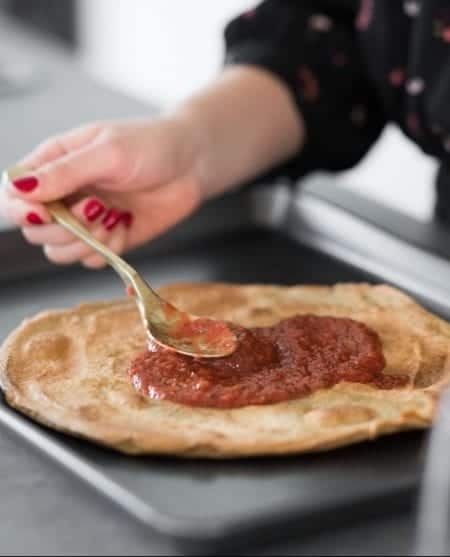 Their ingredient list is super clean and simple, they use high quality ingredients and they don't have anything they don't need. Plus, they taste pretty freakin' great too. These have been a staple on my road trips to and from Vermont this month! 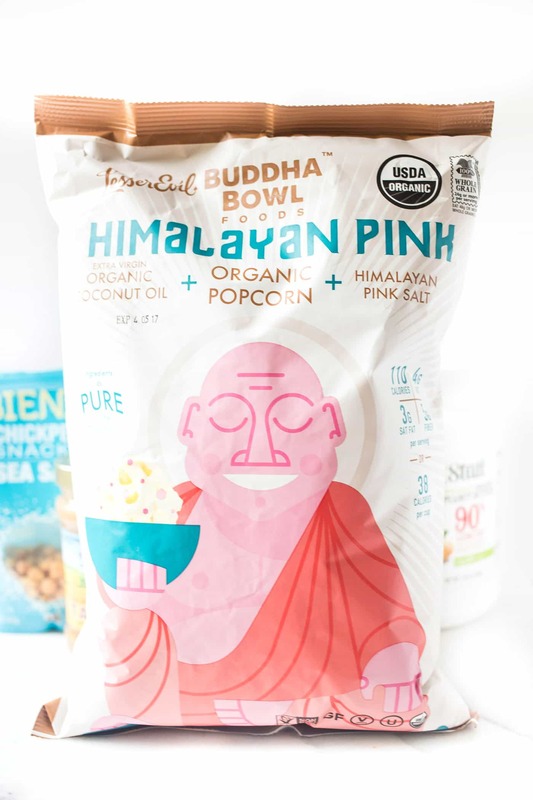 If you're a popcorn fan, this brand is a MUST. They only use three ingredients (corn kernels, coconut oil and sea salt) and it's out of this world good. I actually discovered them over a year ago, but it has been a staple snack this past month. I love how light it is; I find it's the perfect snack to satisfy my savory cravings. And it's so much healthier than reaching for corn chips (which is what I normally do). This company is also non-GMO, gluten-free and vegan! You guys know how much I love my smoothies and this was an addition to almost every one in August. 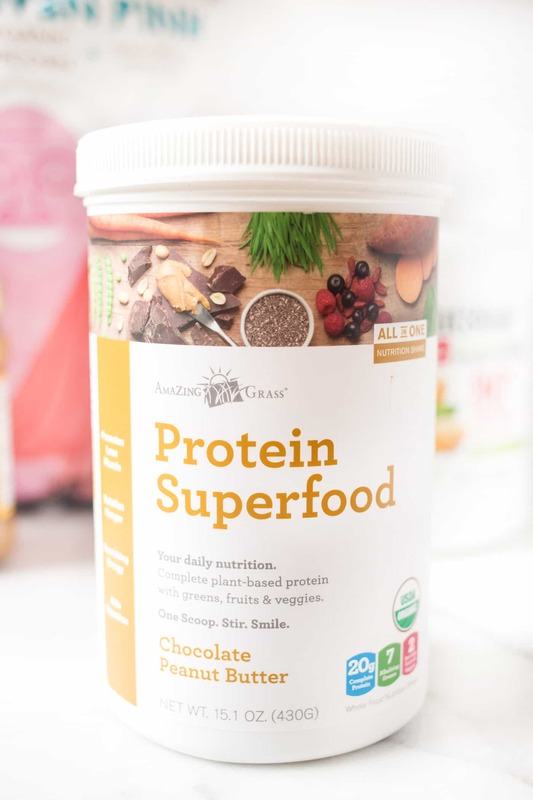 It tastes like a peanut butter cup, but is actually good for you 🙂 Each serving as 20g of plant-based protein, as well as 7 alkalizing greens and 2 servings of fruits and vegetables. The powder is also organic! I've been using it to help bulk up my smoothie bowls in the morning, but I imagine you could also bake with it. Like with my Chocolate Peanut Butter Quinoa Breakfast Cookies, I bet you could swap the cacao powder for this and it would be delicious! If you saw my Peanut Butter + Jelly Bars, then you might recognize this ingredient. I used it in the crust to add a ton of peanut flavor without all the fat and calories. But I've also been loving using powdered peanut as a drizzle on top of my smoothie bowls and cookies (that's what I did with the chocolate peanut butter quinoa breakfast cookies!). 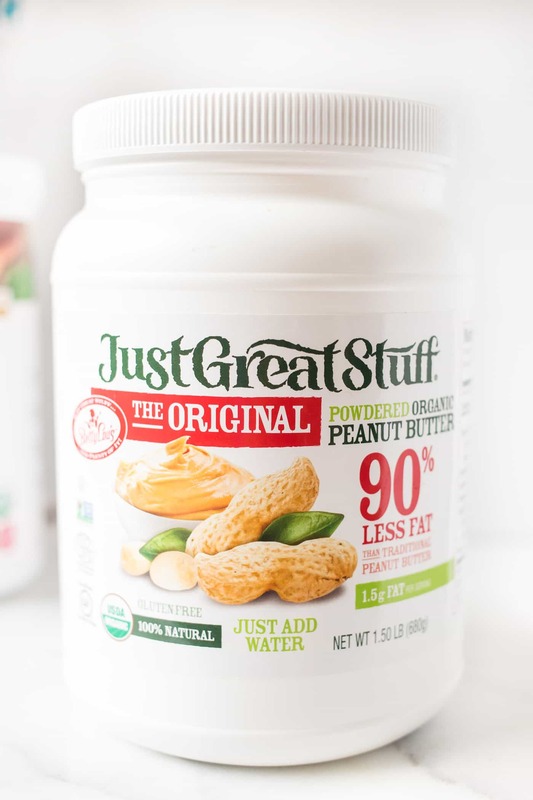 All you have to do it stir in some water and you can the exact same texture as peanut butter, but with 90% less fat. And honestly, I think the possibilities with this are endless! You can stir it into oatmeal, add it to your smoothie, your cookies, pancakes, granola bars, etc. It goes with everything! Okay so if you follow me on Snapchat or Instagram, you've probably seen me talk about these smoothies, but I have to mention them here because they are just that good. 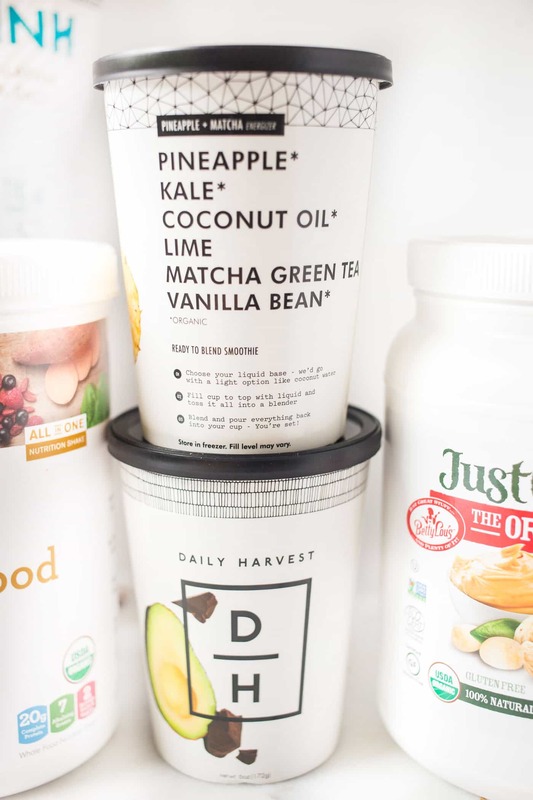 Basically the way it works is that you go to their website, pick out your favorite flavors (mine are the Cacao Avocado and Pineapple Matcha) and then they get delivered right to your door. You just have to blend them up with some liquid and then you can pour them back in the cup, pop in your straw and take your smoothie with you on the go! 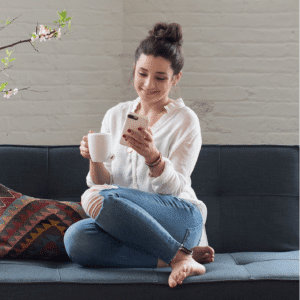 Since I love these smoothies so much, I reached out to the company and asked if I could get you a special discount if you wanted to try them too. They agreed (woohoo!!) 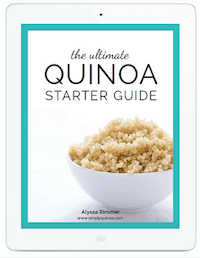 and you can actually get 3 FREE smoothies by just using the discount code simplyquinoa when you check out. I know you guys are absolutely going to LOVE these smoothies! I hope you had a great month of August and if you feel in love with any new foods this month, I'd love to hear about them 🙂 Leave a comment below and I'll check them out! 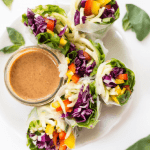 Want more healthy snack recipes?